Depending of the amount of messages you have, the backup process might take a while… In my case, the backup took about one hour for around 230Mb of data. 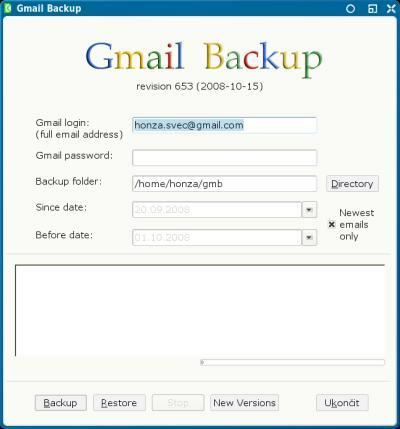 This entry was posted in Tests et Reviews, Utilitaires and tagged backup utility, email, gmail backup, sauvegarde gmail. Bookmark the permalink.